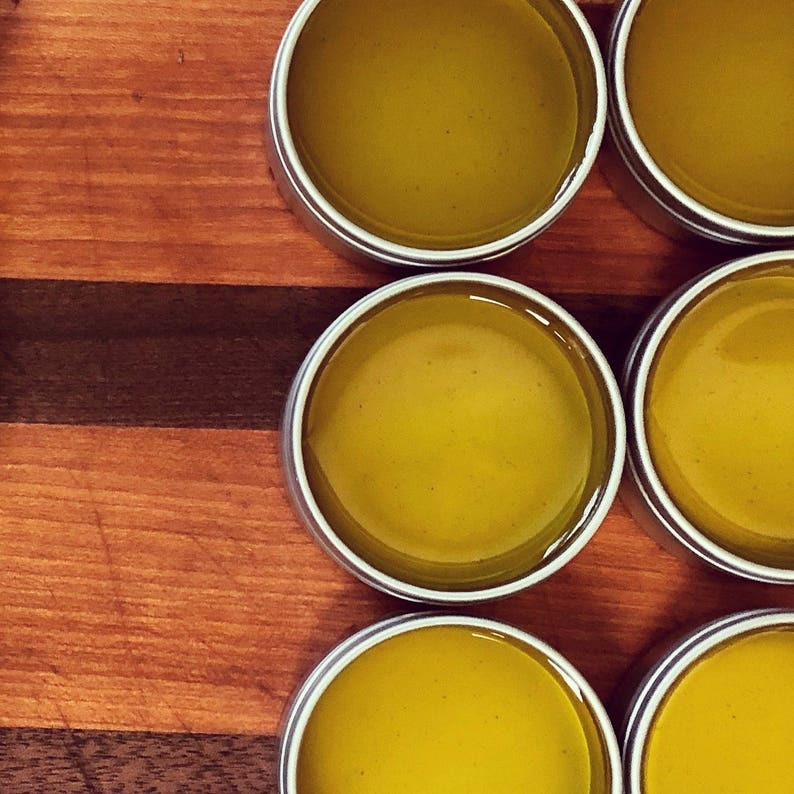 The following incredibly potent anti-fungal herbs were soaked in organic virgin olive oil for over 2 weeks and then mixed with Organic Beeswax to form a powerful healing salve. Use in between your toes, on your nails, your armpits or anywhere your skin experiences fungus. Added tea tree oil is a known fungus fighter! Astragalus - The herb is well-known for its wound healing properties, and its effect on the circulatory system helps to improve blood flow to targeted areas where one applies astragalus. Neem leaf - Gedunin and nimbidol, compounds found in the leaves of the neem tree are powerful anti-fungal agents that destroy fungi, which cause athlete’s foot, ringworm, and nail fungus. Olive leaf - Packed full of antioxidants and boasting antibacterial and anti-inflammatory properties. Pau d'arco - Pau d’arco contains compounds called quinoids, benzenoids, and flavonoids which have shown biological activity against harmful organisms. Comes in 1 and 2 ounce tins. This is my 2nd order of "Goodbye Fungi." I have periodic mild to moderate issues with fungal rash and itch (a/k/a athlete's foot) and this works, it is easy to apply, it isn't heavy or greasy, and it has a botanical scent. Compared to traditional OTC creams, this product is more effective and works quicker and I don't have to use much of it for it to work. I have also used this on other areas besides my feet (arm pit, etc.) and it is gentle and effective. My feet feel brand new! This salve works like nothing else I've ever tried.